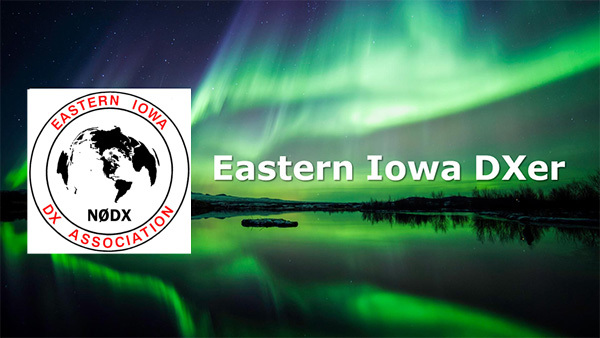 The Eastern Iowa DX Association publishes the Eastern Iowa DXer newsletter, which includes meeting announcements, club news, member profiles and DX information. The newsletter is edited by Bob Lee, WØGXA. Below is a link that will open the current issue of the EIDXA newsletter in your web browser. As opposed to our previous PDF newsletters, this new format opens as a web page. This provides some nice enhancements over PDFs, such as functional links and embedded videos. When the current issue is replaced with its successor, a .pdf version will be made available on the Archive page on the website. Get the April 2019 newsletter here. We maintain an archive of back issues, from the founding of the club in 1975 to the present. To access these back issues, go to the Archive page.